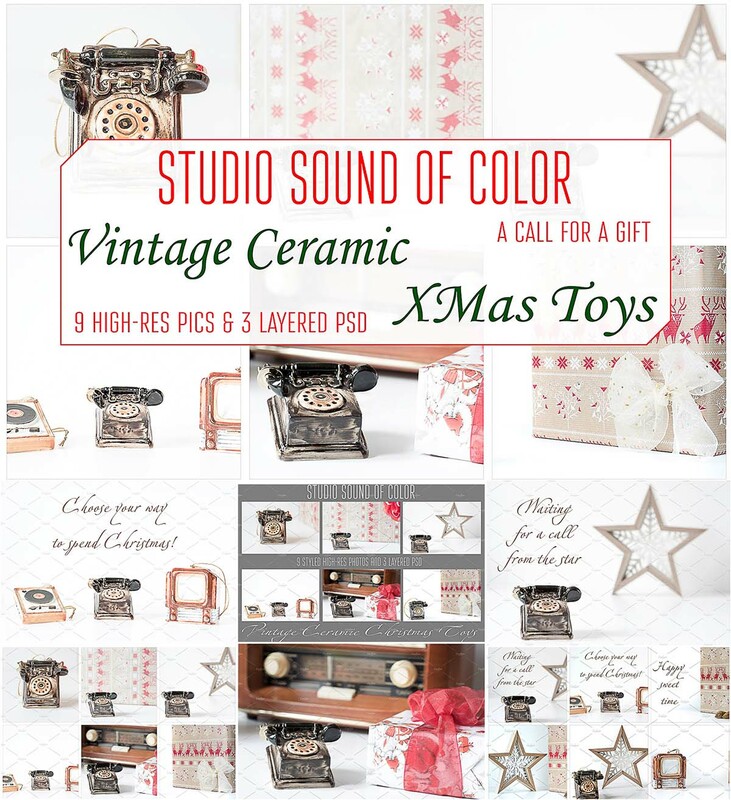 Christmas decorated bundle: a big gift box with tiny gramophone, little tv and toy small old telephone made of ceramics. Wonderful magic of tiny new year toys and wood star decorations. 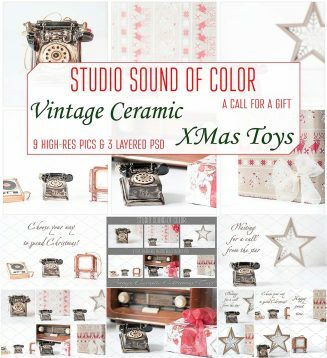 Tags: ceramic, Christmas toys, creation kit, gramophone, holiday, star, tree, vintage, Xmas, xmas toys.